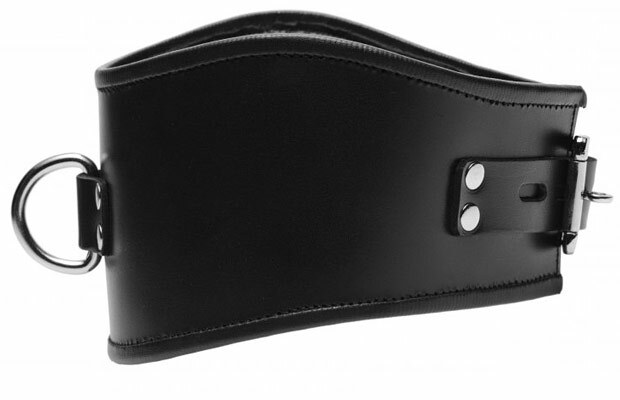 This collar is made with thick leather padding that feels comfortable and secure around the neck without being too constrictive. It locks in place with a buckle that could have a lock attached. There's also a half ring in the front, so you can attach a leash and lead your sub around the room or even down the hallway and around the block.